Winter is here. While the season is enjoyed by many, the cold and the season can bring out its’ own type of viruses like the common cold. Staying fit means staying active. But if you are already in pain due to an injury or alignment problem, the cold, dry winter can make it worse. Cold temperatures and dry air, makes things and you contract. Muscle stiffness happens to most people during the winter season. Your extremities are harder to keep warm, especially as you age, because your body’s job is to keep your core (the main part of your body – the trunk) at the proper temperature. This can make it tough to move your arms, hands, fingers, legs and feet during this time of year. Muscles under the skin cannot be stretched as easily and take longer to warm up which makes your body more likely to become injured if you are not properly stretched. Proper, routine, chiropractic care will help keep your body and spine in alignment so when you do warm up your body/muscles everything will flow with greater ease. A weak immune system means you are more likely to get sick. With a lot of people coughing, sneezing and having the sniffles; germs are going to be spread. Regular chiropractic adjustments can help your body stay in alignment which means your nervous system can operate at an optimal level keeping communication between your brain and body flowing freely and ready to defend against attack. Pain is the body’s way of telling you something isn’t quite right. With less heat supplied to the extremities and the cold, dry air, your body is not going to be happy. But, you can avoid some of these problems by keeping the blood flowing. When a blood vessel is blocked or pinched anything below that restriction is going to suffer; like an arm, hand or fingers. 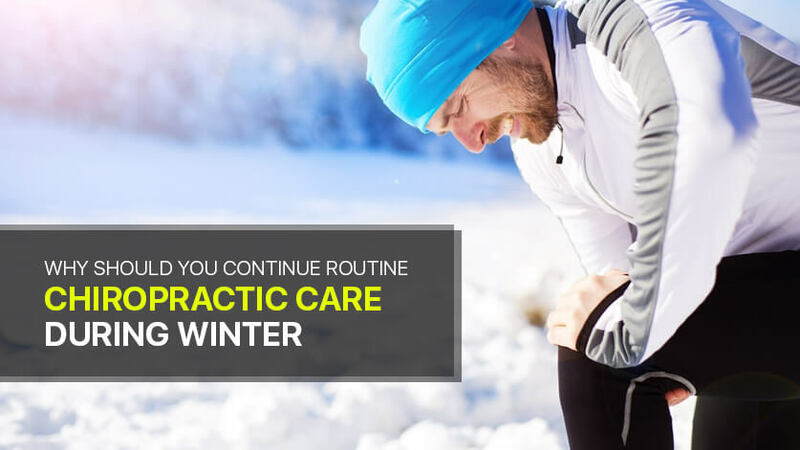 Chiropractic care can help keep everything in alignment allowing you to enjoy the winter weather a little easier. You can find experienced well known chiropractors in Dickson like Dr. Scott Jutte. Dr. Scott Jutte has over 27 years experience helping people just like you live a pain free life. Visit Dickson Chiropractic Clinic to find out how you too can feel better fast.